Saoirse Ronan Starring in Adaptation of "Twilight" Author's "The Host"
Stephanie Meyer's "Twilight" series has been a veritable cash cow, so with that franchise winding down, of course Hollywood would go after another one of her titles. Saoirse Ronan has signed on to star in "The Host," based on Meyer's 2008 novel of the same name, reported Deadline. Andrew Niccol ("Gattaca," "Lord of War") has adapted the screenplay, and may yet direct. In short, "The Host" is set in a time when most of humanity has been taken over by invading "souls," but when one of the last "wild" humans, Melanie, is captured, she resists take over of her body by thinking constantly about the man she loves. 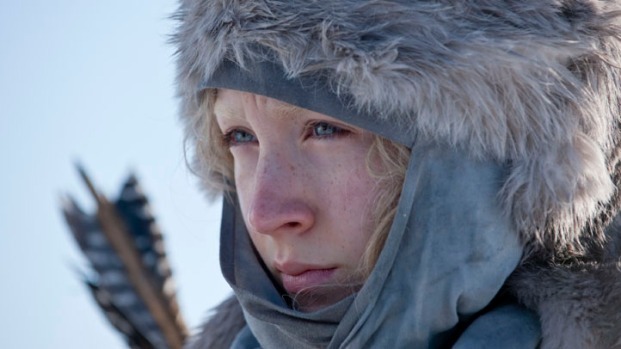 If you haven't yet seen Ronan in "Hanna," do so--she's great in it and the film is a wild ride. We're still awaiting a release date for her next film "Violet & Daisy" while she's down in New Zealand shooting "The Hobbit."